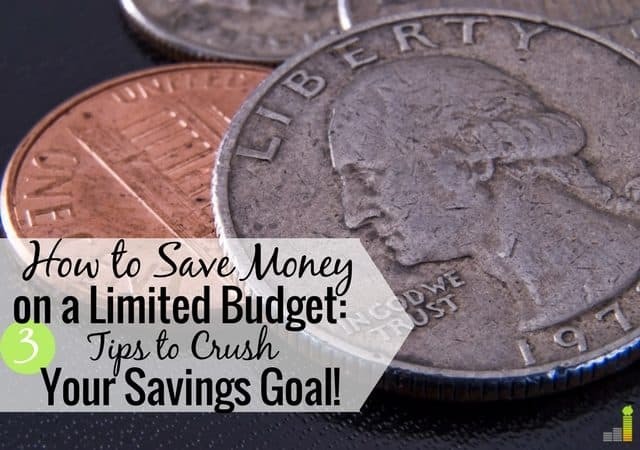 When your income is really low, it’s extremely difficult to learn how to save money. Even the best savers can be wiped out by one emergency, which can leave you living paycheck to paycheck. The best way to avoid this is through saving, and in order to get there, you must embrace certain habits. In any other post, I would encourage those with low incomes to hustle like crazy to make more money. I would outline the ways to perform better at work, impress your boss, ask for raises, take on extra side-hustles, etc. However, for the purposes of this post, I want to address ways to save money when you’ve hit rock bottom in terms of the amount of income you’re bringing home. This is to help those who really need to squeeze out some extra pennies, who need to save for a rainy day, who might not be able to switch jobs or work extra at this exact moment. For most people, we have that one thing that we do for ourselves. This is healthy and good. We all need to pamper ourselves a little to keep our sanity. However, if you are in a very desperate situation and need to build an emergency fund to avoid future problems, try giving up something you love. Whether it’s taking a cold shower because you can’t afford the hot water or walking instead of driving your car, just remember it’s temporary. There’s an end goal in mind. Earn 15 Times More on Your Savings! CIT Bank pays 1.85% interest on your money market balance and charges no fees, which helps you save more money faster. Enjoy quick and easy access to your money, which is FDIC insured up to $250K. Start saving today with as little as $100! Giving something up doesn’t always mean sacrifice, especially when it’s cutting something you don’t use. Trim is a free app that analyzes your subscriptions and memberships to find ones you don’t use so you can bank the savings. I once saw a couple picking up coins in the mall. They walked around the check out lines in popular stores, snatching up dimes and nickels as they went. I told them they had a unique hobby, and they gleefully told me they recently found a quarter. You would have thought they found a $20 bill they were so excited. So, maybe you don’t have time to do a four-hour bartending shift to supplement your income right now because you have kids or are in school, but keep your eyes on the ground. You never know what you will find to add to your savings. Did you know you can do the same thing when grocery shopping? With Ibotta you can earn cash back from items you buy at the grocery store, even if it is a small amount. After you’re done shopping you scan your receipt and Ibotta matches it against cheaper offers and pays you the difference. Ibotta doesn’t just work at grocery stores, they also work with over 350 vendors. Ibotta connects to your PayPal or Venmo account so you can get paid right away. If you’d rather not scan receipts, you can use the Ibotta app on your phone to locate sales for the store you’re at. Ibotta gives you a $10 bonus just for signing up! It’s amazing what people will buy. Truly. You might think that your box of old shoes should be destined for the donation pile, but someone just might buy them. You never know until you try. Remember that expensive items like electronics can fetch a high dollar. Can you use the computer at the library until you build up your emergency fund? Can you use a flip phone instead of a smart phone? I’m not saying it’s going to be easy or fun to build your savings on a low income, but once you can get that safety net in place, you can then slowly build back up your level of comfort. Remember, it’s just temporary until you get where you need to be. Although I have never lived in poverty, I have suffered the embarrassment and endured the anxiety of living paycheck to paycheck. It wasn’t even that long ago, which just proves that with enough discipline, you can pull yourself out of a bad situation. Making a really low income is never easy when you have a lot of expenses, but if you can focus on what’s really important – building that savings account – you will be so much better prepared to increase your income in the future. Interest rates are terrible today, but there are options available, like those through Barclays that have one of the best rates available – 2.20 percent, with no minimum balance requirement, which will allow to grow your funds as you put more away. What other ways can you save when you don’t make a lot of money? What little pleasure could you give up temporarily to build up an emergency fund? If you’re making more now, looking back, how did you make ends meet without abandoning your savings? #1 is so tough but so true. It’s hard to cut out the stuff that we’ve come to see as necessities, but I’ve found that by really examining our spending, we’ve been able to convince ourselves of the value of trimming off the fat. 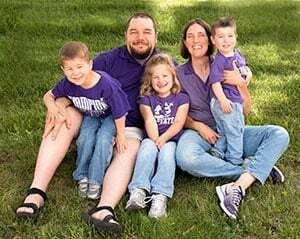 I’ve found this to be most successful for us when we can substitute in a cheaper, but similar experience–for example, we have frozen pizza night now instead of delivery pizza night. Still fun and tasty, but vastly less expensive. You are dead on with the option of having a flip phone. It is amazing to me to listen to people complain about having debt then watch them take out their iphone 6 and check a text as they complain. I’m just thinking…..there some money sitting in your hand and you don’t even know it. The problem is so many people are so caught up with how a flip phone makes them look, then how their bank account looks. Before, I love going to a salon and massage spa but I really want to save money. I told myself to avoid it since it’s not really necessary, I watched Youtube video tips on how to pamper yourself at home. Minimalism is an awesome suggestion because there’s also a lot of stress that comes with owning and maintaining stuff. Not that it’s extremely relevant to people living paycheck to paycheck but my motorcycle was fun when I had it, but super stressful too, the damn thing was always needing some sort of maintenance or repair. It messed up my budget on more than one occasion. So finally it just had to go. 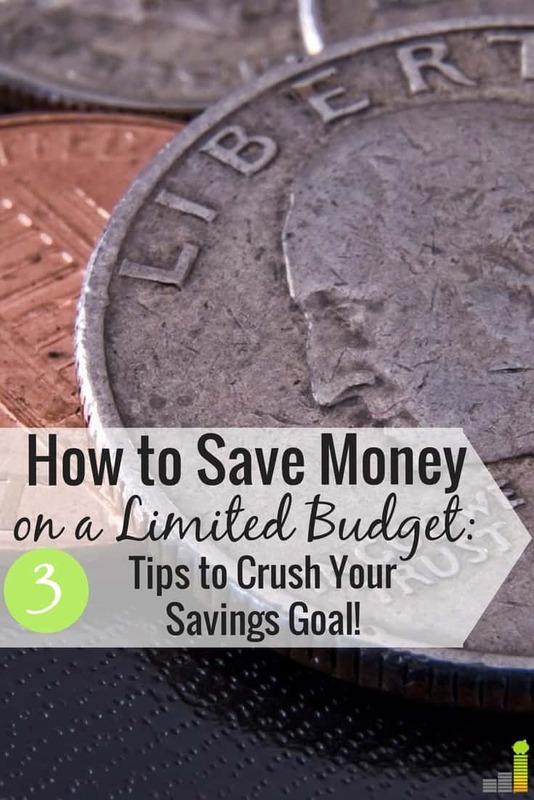 A great way to pinch more pennies is to look at the expenses you think of as fixed and picking up the phone to negotiate them — cable and internet, auto insurance, even rent (maybe your landlord would give you a discount in exchange for mowing or shoveling). And these savings will repeat month after month. Yes! Can’t believe I didn’t include that! Great advice! I remember that our electricity bill was high back in the day, so I installed a programmable thermostat to cut don’t down on our energy usage. I was shocked at how much we saved per month by making that one minor adjustment. We need to do that. Our bill is super high! Regarding the flip phone instead of a smart phone, I must tell a story about what I saw when watching an NFL game. The cameras showed Cowboys owner Jerry Jones in his luxury box, using a flip phone and the announcers were making fun of him for not having a smart phone. They said with all his money, he could hire someone to teach him how to use it if he couldn’t figure it out himself. I turned to hubby and commented that maybe his using a flip phone instead of a smart phone is one of the reasons he’s the owner of the team and the announcers are still just announcers. I think the man has an ego but it isn’t dependent on having the latest gadget. Back to how to save….one thing I do is every time I pay for something with cash, I use whole dollars. If the item costs $4.09, I give the cashier $5 and the change goes into our piggy bank at the end of the day. A couple of times a year, we take the coins to the bank and deposit them into our savings account. It adds up to a couple hundred each time. Not a huge amount, but a very painless way to add to the savings. Great post, Cat! Love Kathy’s comment too. We have flip phones, and they work perfectly fine. Like the FWs, we skip takeout pizza, and instead make our own at home – even the crust is from scratch. The kids LOVE it. And it costs us less than $5 for two large super-tasty zaaas. While I don’t have a flip phone like Kathy or Laurie…I did hold out longer than most in my generation. Though I would never mock someone for having a flip phone. I was at the store when the sales associate was telling me that I was losing out for not upgrading to the latest and greatest because my contract was up and he proceeded to mock another customer for not upgrading for 10 years. As much as many of us think we really NEED something…often we really don’t. If you love yourself…you should love to save! Yeah that’s a weird conversation. I had one, then went without one for 3 years while living in the Caribbean, then got one when I got back. I like it but in a bad pinch, I’d sell it in a heartbeat. After doing a low income eye clinic for almost two years, the biggest things I’ve seen that cost really poor people are cigarettes/alcohol, high car payments relative to income, and spending any sort of lump sum, like a tax refund, on stupid stuff instead of building savings. The other huge issue is having unplanned children when you really can’t afford them. You can’t give back the ones you have, but you can prevent getting pregnant until you’re ready! Probably the best advice given today! I would add lottery tickets to your list of poor people stupid moves! I always wonder how much they would have if they put away the same amount they use on playing “their numbers”! I would add Bingo to that silly list. I’m amazed at the people that play that don’t have the money to really do so. Also, hair, nails, tattoos. I’ll probably create an uproar with my next statement. But if the government pays a portion of your bills/food/medical (government meaning the government provides the program, the taxpayers provide the relief for those programs), then the recipients have no business being a nail appointment regular, or a tanning regular, or a spa/salon regular, or a piercer/tat regular. Sorry but if you have the funds to keep up those things, you have the funds to buy your own food and housing. Great tips 🙂 It is surely is hard to give up on things you love when your struggling financially but sometimes doing a bit of sacrifice pays off in the long run. I have been there myself. You are spot on #3 also. I still have a flip phone that I use from time to time, a Motorola Razr. A lady once told me she do not want to date me anymore because she is embarrassed that I carry it. Didn’t want to date you anymore!? People are nuts. She should have been trying to lock you down that instant! When I was an advisor, I often found that trying to save nickels and dimes was far more time consuming than using that same time to try to make more money. If you’re that desperate, find a side gig. Not only will you be too busy to spend money, but you’ll have additional cash in the coffers so you don’t have to look for nickels. Yeah I did mention that side hustling is usually my #1 advice but this post was a little more specific. A huge line item on most people’s budgets is rent. This is more applicable to those who are fresh out of college, but does apply to everyone. Trimming your largest expense is an easy way to save more money. Will the parents let you rent your childhood bedroom (maybe even for free for a year or two out of college)? Or if your parents don’t live near a place you can find work, try renting a bedroom from a friend who has a spare and is looking to make a little extra income and most likely it will be cheaper than renting from a third party? Living at home while you try to boost your savings or income should not be looked at as unsuccessful (unless you’re still doing it in your 40’s ;)). That’s good advice. Actually rent is my highest category but with two babies etc. I’m not willing to take on a roommate. I think this would work well for those not to the kid stage yet for sure! “when your income is really low” is a great qualification to this title. Anyone can have a fantastic looking savings rate if their income is high. The real question is how good would that rate look if they earned less. Great tips for how to do that. Thanks Mark – I appreciate it! These are all hard suggestions to take, but if someone does take them they’ll be able to make a huge difference in their financial lives I’m sure. In line with Petrish, the one thing that drives me insane is people complaining about how their food stamps card wouldn’t work while sporting their acrylic nails. Those things require maintenance every 3 weeks or so – seems like such a waste to me! Yah I just wrote in another comment, when I was paying off my CC debt, I had no highlights, nothing. That’s why I’m brunette in like, ever picture online haha! Solid tips. I work with a lot of people who don’t save because they feel like they don’t have enough money. When you’re just scrapping by saving money is really hard to justify. I always find that it’s more important to build and maintain a savings habit than worrying about the amounts. Set up automatic savings plans so that you’re putting away 5 or 10 bucks a month. Sure it’s not much, but it gets you used to saving. When there’s a bit more money it’s easier to change it to 50 or 100 bucks than it is to create habit from scratch. I’m a huge fan of automation too. It’s the easiest way to save. I think that these are hard decisions that some people just aren’t ready to make. You have to hit rock bottom sometimes to snap yourself out of it. I haven’t lived with a minimal income for a while (since college), but I’ve been thinking that I needed to put out some information like this amongst all of my usual investment advice. Thanks for providing this, I know there are so many people out there that really struggle with gaining even small steps towards getting out of debt. When my husband and I were first married one way we saved was by having a tiny entertainment budget and getting creative instead of spending money on eating out, movies, etc. We’d light a fire in the fireplace (at our rental) and call it entertainment! Now we watch “chicken TV”, which consists of observing the chickens out pecking around in their yard. Pretty hillbilly, huh? You’re welcome Janeen, thanks. It’s good to help those who need it. And lol the chickens sound awesome! Totally agree. I have been poor, and I have had enough, but there have ALWAYS been more ways to save. I grew up under the poverty line in rural Maine, but my dad always seemed to have money for booze and cigarettes. Funny how that works. Today I see the younger generation complaining that they can’t afford to take that college course…while sporting new $400 “ink” and $60 highlights. Crazy stuff. Oh yes! My highlights cost more than that!! But when I was in debt and having trouble I didn’t get them. Simple as that. It’s a wants vs needs thing. I know this is an old post, but you and a friend can do each other’s highlights at home. I am 69, my hair is white, and I was going to the stylist to have coloured highlights put in (Violet and blue, I am an art teacher) when it finally approached $300 with tax and tip, I said to hell with it, and started doing it myself with some walmart hair dye and Manic Panic. I get comments all the time now, from perfect strangers, about how much they love it. Don’t be afraid to just try it yourself, it will grow out eventually. I thought #1 would have a deep meaning..but then I read your example about the hot water. Damn! That’s one of the last things I think I would sacrifice. Giving up something or should I say sacrifice is really needed when income is very little. I gave up my hobby in playing computer games and my gym membership when I had little income. It was hard, but I found something that could replace my hobby in a cheaper way. I don’t plan on giving up my Iphone anytime soon, but I certainly work for the side hustle and try to be minimalist. I gave up both golf and snowboarding about 4 years ago to save money. The enjoyment I got out of it did not line up with the amount I was paying, so I dropped it. Now my free time is made up of making money instead of spending it! Giving up what you love is a huge part of saving when you are not making much, but hopefully you have really powerful and motivating goals that offset what you give up. It’s important to stay mentally in the game when you are making every last penny count. I live on the edge of poverty and the payments being made are for rent that cannot be lowered, that is unless I move out of this building. Hopefully that will be soon since this building is causing asthma to be worse and also the cause of sleep apnea. The other payments are for donations to my church (not to be lowered), for groceries and supplies, and for electricity. The gas is paid for. I have medical debts in the amount of either $250 to $450, do not know which figure is more accurate at this time. There is no budget for entertainment unless medical research can be termed entertainment (it is for me). The only thing I love most is donating to the church to provide money for Outreach commission. I have learned to be very cheap, I have been taking care of my mom and we live on a very small income, but I have learned that there are ways to save. I make a list of the foods we eat each month and plan out every meal. If I cook meat loaf I make the same amount that I use to when we had a big family and I put 4 meals worth in the freezer. I do this with all the foods we want for the month. I really stretch the meals I make to make the most of them. I put all my change to the side and save it. I started the 365 day penny challenge where you put a penny time the day of the year, but I did it in a different way. I found that it is about 1.88 a day so I make a list and put a notch down on paper each notch that I have to make off is 2 dollars I make 365 notches. I only use bills for paying things and all my change is saved for every 2 dollars I have I take off a notch. It is easier to save 2 dollars than a big number so I keep it simple. Plus if our light bill is 78 dollars I budget 80 and put 2 dollars in my saving change jar. If I save the whole 365 in 2 dollars then at the end of the year I have 730. For an emergency fund. I don’t stress if I can’t save the whole amount at least I saved some. There is not a lot of fun buys that we make, but if there is something we want we wait for a month and see if that something is still something that we can classify as need. If it is something that is needed and used then we get it, but if we don’t really think about it then it is not really needed, plus I really do my research find the cheapest of that item that I can find. I have lowered all bills as much as I can, plus unplug anything that is not in use. We save 20 a month doing this. Even when your electronics are not in use they still use energy. We have a peak time with the light company I never cook or do anything that use a lot of power when it is within those 3 hours each day. When it comes to fixing things that need repairs or things needs to be done I do it myself. Never pay for someone to mow the grass if you can do it yourself. We had a pipe burst under the house this winter I went under house an fixed it. If I need help I ask my family to help fix with what I have no idea how to get done and then watch them so I can do it next time. I like to find new ways to be cheap. So always keep a eye on how others save money and figure things out one step at a time. Life is about learning so I am sure there are always more ways that I have not figured out yet. I’ve not heard of the $2 challenge Faye, but I love the sound of it! Thanks for sharing what you do to actively save money. Many think it can’t be done, and your proof that it can – so long as you’re willing to think outside the box and put in the work. 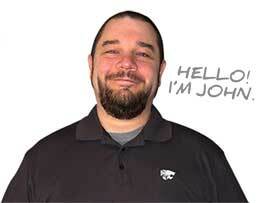 Thank you John, I wish I had time to share all the things I do to save money to make every dollar stretch. I guess you learn a lot when you are the youngest of 8 kids and grow up in the country where all the food is grown where you live. You learn to make the most of everything you have rather it is money or just the things you have around you. We may not be blessed with a lot of money, but I can make the most of all the things I have around me.